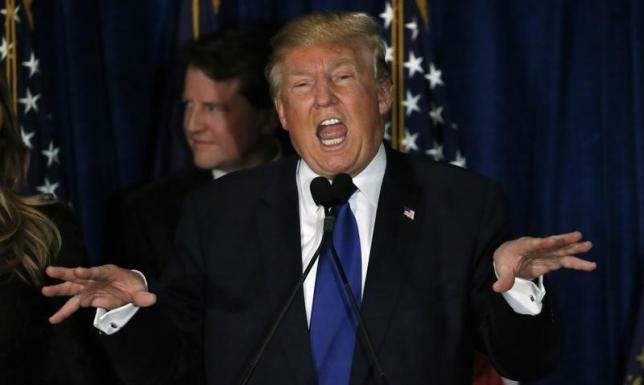 Trump, who ran for the White House on a pledge to shake up the status quo in Washington, repeatedly lashed out at China during the campaign, accusing Beijing of being a “grand champion” of currency manipulation. Candidate Trump also dismissed the NATO military alliance as obsolete and said he hoped to build warmer ties with Russia. 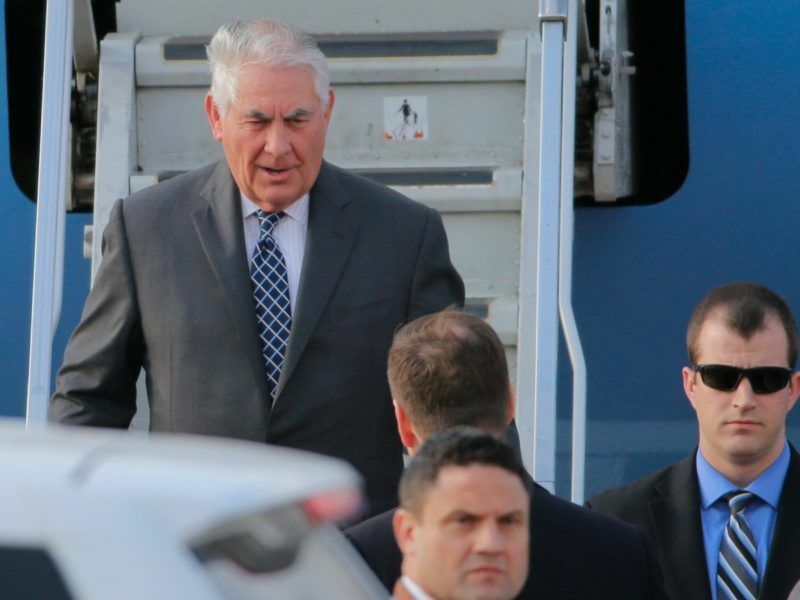 US Secretary of State Rex Tillerson plans to skip a meeting with NATO foreign ministers next month in order to stay home for a visit by China’s president and will go to Russia later in April, US officials said yesterday (20 March), disclosing an itinerary that allies may see as giving Moscow priority over them. But at a White House news conference and in a newspaper interview on Wednesday (12 April), he offered starkly different views on those issues, saying his relationship with Moscow was souring while ties with Beijing were improving. He also lavished praise on NATO, saying it was adapting to changing global threats. “I said it was obsolete. 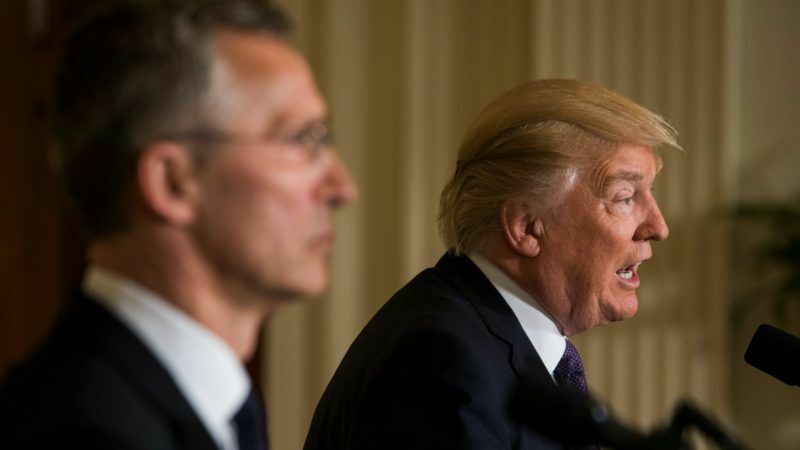 It’s no longer obsolete,” Trump said as he stood at a news conference alongside NATO Secretary-General Jens Stoltenberg in the White House East Room. The reversals on Russia and NATO could reassure US allies in Europe who were rattled by Trump’s overtures toward Moscow during the campaign. But the president’s talk of “bonding” with Chinese President Xi Jinping could sow confusion in Asia, where US allies are fearful of a rising China. Trump’s apparent shifts toward a more conventional foreign policy came amid infighting within his cabinet that has lately seen a decline in the influence of political operatives, mainly his chief strategist, the far-right Steve Bannon. Six months ago, candidate Trump suggested he was eager for an alliance with Russian President Vladimir Putin. “If he says great things about me, I’m going to say great things about him,” Trump said last September. On Wednesday, however, Trump said he had growing concerns about Russia’s support of Syrian President Bashar al-Assad. “We may be at an all-time low in terms of a relationship with Russia,” said Trump, who ordered the firing of US cruise missiles at a Syrian airfield last week to punish Assad for suspected use of poison gas in Syria’s civil war. 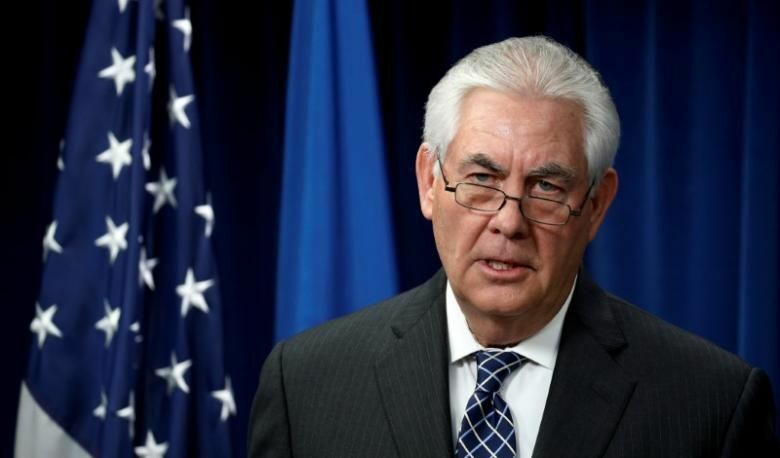 The Trump Administration accused Russia on Tuesday (11 April) of trying to shield Syria’s government from blame for a deadly gas attack, as Secretary of State Rex Tillerson brought a Western message to Moscow condemning its support for President Bashar al-Assad. While criticising Russia on Wednesday, Trump said he and Xi had bonded during the Chinese president’s visit to the Mar-a-Lago resort in Florida, where they dined together with their wives and held talks. Ahead of that visit, Trump had predicted “difficult” discussions on trade. The improving ties with Beijing were underscored when Trump told the Wall Street Journal in an interview on Wednesday that he would not declare China a currency manipulator as he had pledged to do on his first day in office. Trump, a former real estate developer, took office in January as a government novice whose foreign policy mantra during was a vow to keep America safe and build up the US military. Christine Wormuth, former undersecretary of defense in the Obama Administration, said Trump had a “steep learning curve” on foreign policy when he came into office but that it was beginning to even out. 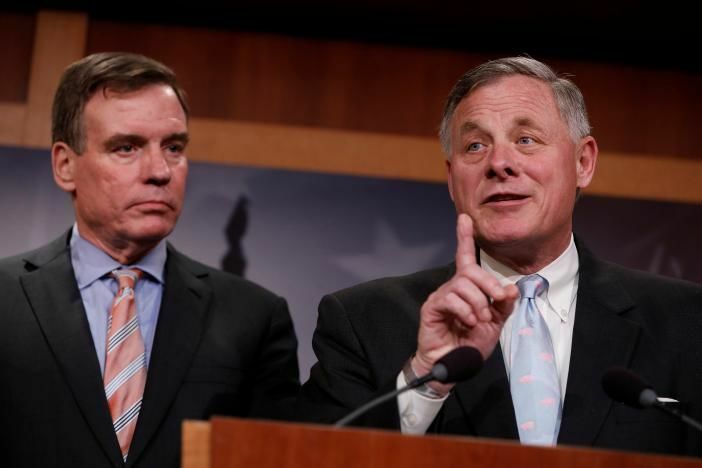 “He’s starting to have a more nuanced and deeper understanding of a lot of issues,” said Wormuth, now a senior adviser at the Center for Strategic and International Studies. The evolving Trump foreign policy appears to reflect less of the influence of his campaign team and more the views of Defense Secretary James Mattis, Secretary of State Rex Tillerson and National Security Adviser H.R. McMaster, all of whom are deeply sceptical of Russia. Trump’s former National Security Adviser, retired General Michael Flynn, was forced to resign on 13 February for contacts with Russia’s ambassador to the United States before Trump took office. The new tone on foreign policy comes as Trump has been trying to settle the palace intrigue inside the White House, where Bannon, former chief of the conservative Breitbart News organisation, has been at odds with the more mainstream Jared Kushner, the senior White House adviser who is Trump’s son-in-law. In an interview with the New York Post on Tuesday (11 April), Trump offered only lukewarm support for Bannon. “I like Steve, but you have to remember he was not involved in my campaign until very late,” Trump said. US Secretary of State Rex Tillerson asked his European counterparts on Tuesday why American voters should care about the conflict in Ukraine, France’s foreign minister said. Ayrault told reporters he had replied: “It is in the interests of the US taxpayers to have a Europe that is secure and is strong politically and economically … You don’t want a weak Europe, broken into bits and feeble. Tillerson posed the question at a meeting of foreign ministers from the Group of Seven (G7) industrialised nations.